KISS- Keep It Simple Silly. That's the only thing I understand from Ranbir Kapoor's stand up comedy in those Docomo ads (Hindi is not my 1st language). He talks and talks & the audience laughs. My hubby turns to me and grimace. I roll my eyes as if I know exactly what he means. But truthfully, I don't. I don't understand anything except the 'KISS' in the end. Never mind though, at least I understood the part worth understanding, no? Anyways, my point is, I have simplified my life a little bit just by picking out which brushes I'd need every time and I keep them all in a separate brush holder to save time. Believe me, it's an accomplishment of some sort for a scatterbrain. Powder- Coastal Scents Bionic Wide Buffer Brush. I love this to pieces. It's incredibly soft and because it's flat, it's ideal for patting powder to set your foundation & concealer without moving them. What about bronzer, you ask? 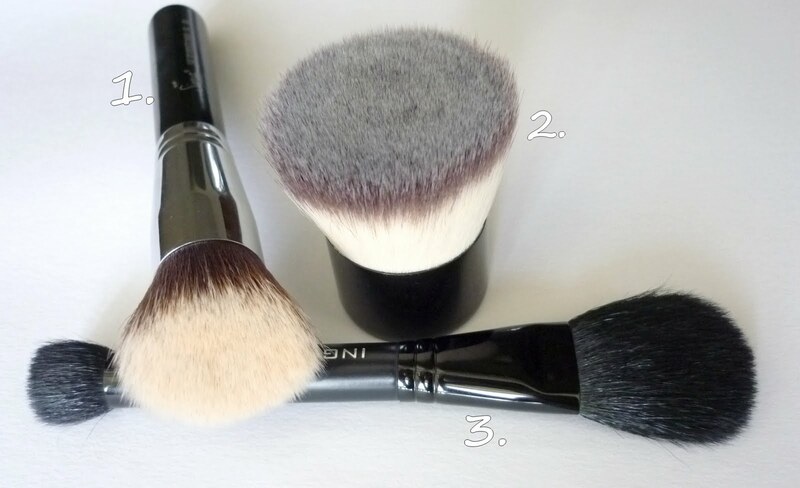 If I'm wearing bronzer, which I don't everyday, then I'd use a large kabuki brush. But if these were my only options, then brush No.1. or No.3. All over color/Blending- Sigma E25 Blending Brush. I use this for applying color all over my lids & also for blending crease color. I think this is the salt of eye brushes. Blending eyeshadows seems almost impossible without this. Blending ~ Sigma E40 Tapered Blending Brush. I call this the 'finishing touch' brush, coz I like to use it in the end to blend any harsh edges. Eyeliner - QVS Angled Brush. This is great for tightlining and lining upper & lower lash line with gel liner, kajal or eyeshadow. Availability ~ Sigma Makeup & Coastal Scents deliver internationally (I was very happy with their quick delivery). Inglot is available in Delhi/Mumbai/Chennai (and where else? I don't know). QVS is sold at New U stores in India. Great Post! I need to venture out and try dif brands of brushes! Thanks for this, I don't pay much attention to brushes to this helps! Inglot is available in Chennai !!!!!!!!! Where Where where???? Ilove F80 n E25 too..n a small kabuki brush I have by Giordano..for daily use..
Now i desperately need to try Sigma brushes ! One could also use a lip liner or an eye liner or a bindi brush from Vega instead of a toothpick for small dark spots. 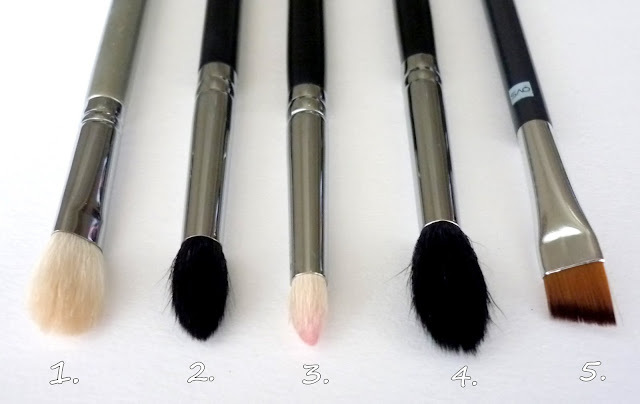 Such a nice makeup brush collections..Just too good!!! Thanks for this post! I have been wanting the coastal scents buffer brush so I think now I will pick it up!